Home / charts / Global Track Chart / Nogizaka46 / Nogizaka 46 Score No. 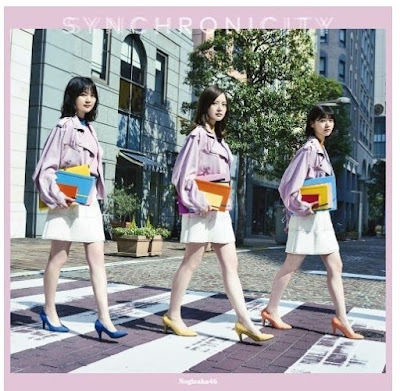 1 Single Worldwide With "Synchronicity"
Nogizaka 46 Score No. 1 Single Worldwide With "Synchronicity"
Japanese Female idol group Nogizaka 46 have just scored the No. 1 Single Worldwide with their latest release, Synchronicity! The ladies knocked Ariana Grande's No Tears Left To Cry to No. 3 while Drake's Nice For What holds the No. 2 spot! As Japonesas Nogizaka 46 conquistam esta semana o single #1 mundialmente com Synchronicity! Parabéns! A segurar o #2 temos Nice For What de Drake e a descer para o #3 temos No Tears Left To Cry de Ariana Grande!